In a small bowl, whisk the eggs with 1/8 tsp. salt and a small pinch of pepper until thoroughly combined and uniform in color. 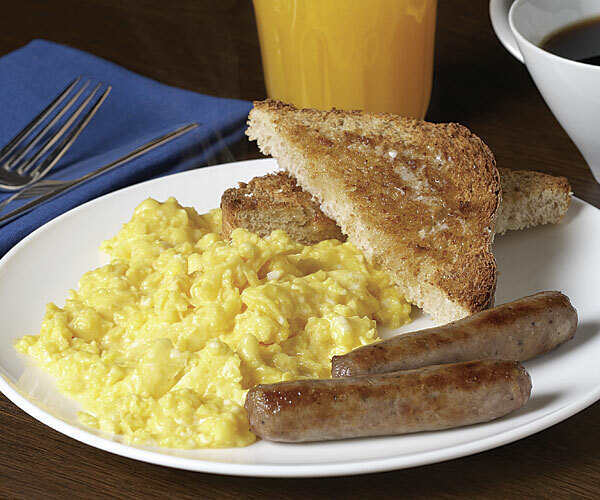 In a 10-inch nonstick skillet, melt the butter over low heat and then add the eggs. 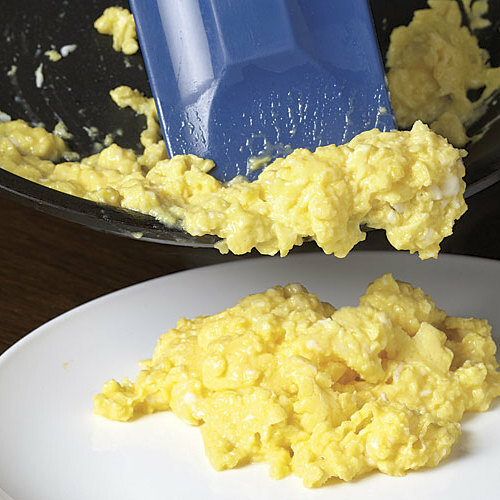 Using chopsticks, a heatproof silicone spatula, or a wooden spoon, constantly stir the eggs while shaking the pan. Push the cooked portion from the edges toward the center of the pan and let the raw portion run from the center toward the edges. Break up any large bits as you go along. Cook the eggs until they’re moist but no longer runny and have formed small, creamy curds, 2 to 3 minutes. Serve immediately. Bacon and tomato: 2 Tbs. finely crumbled, crisp cooked bacon and 2 Tbs. small-diced ripe tomatoes. Roasted pepper and Brie: 2 Tbs. chopped roasted red peppers and 2 Tbs. small-diced Brie. Smoked salmon and cream cheese: 2 Tbs. chopped smoked salmon, 2 Tbs. small-diced cream cheese, and 1 tsp. thinly sliced scallions.